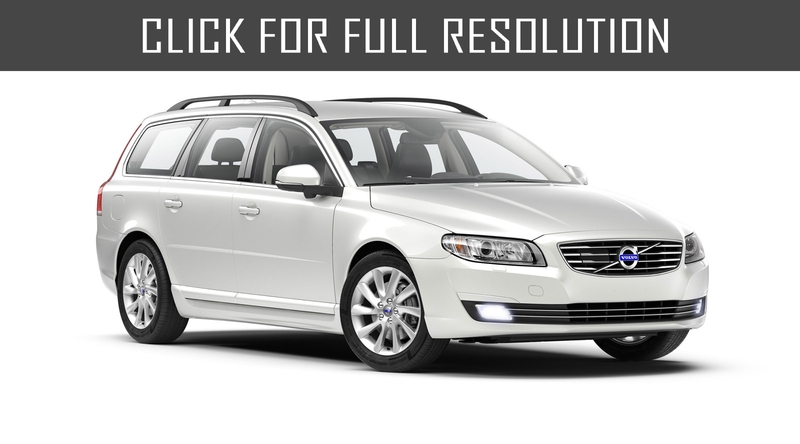 New Volvo V70 - one of the most beautiful, safe and multipurpose cars of class D in the world; driving the model is the true pleasure. 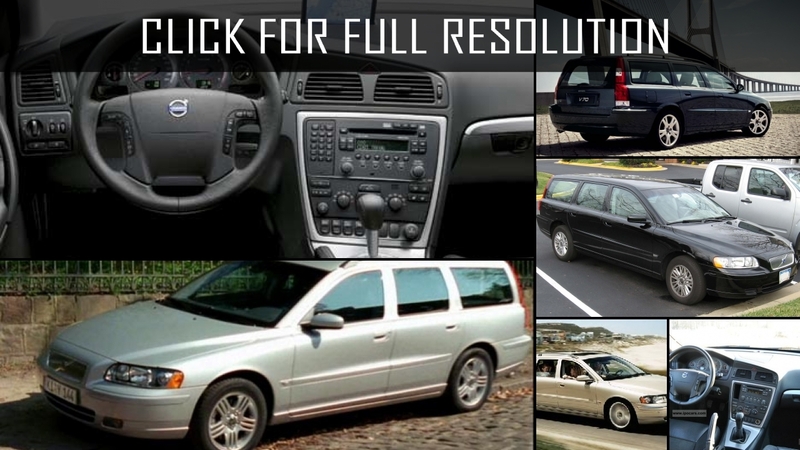 There is enough place for all your family and friends, it is suitable for trips, for work, for rest and travel as well as it is very practical for everyday use and gives the chance to move off in searches of adventures. 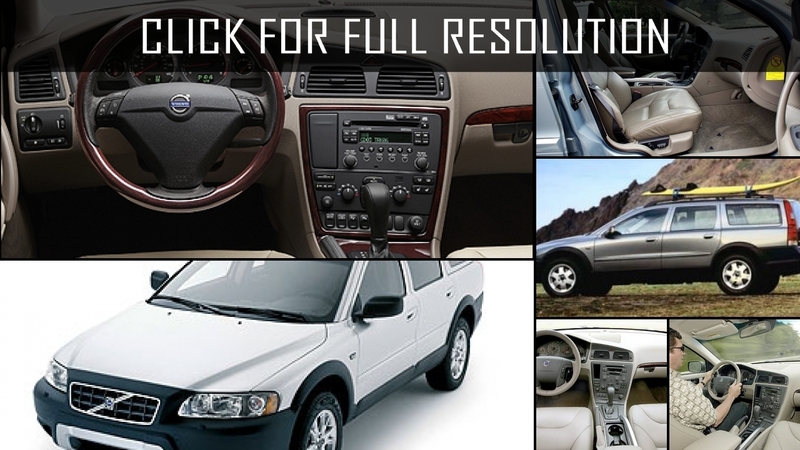 There are set of practical and useful devices, many of them, which are included in a basic equipment. 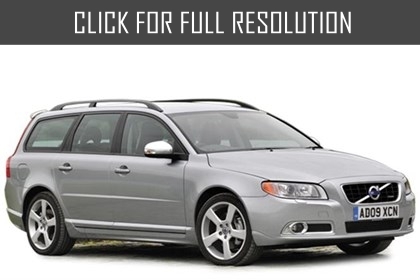 Safety from the very beginning formed the basis of Volvo V70 - engine, suspension, steering, and brake control received new characteristics that help the driver avoid an accident. 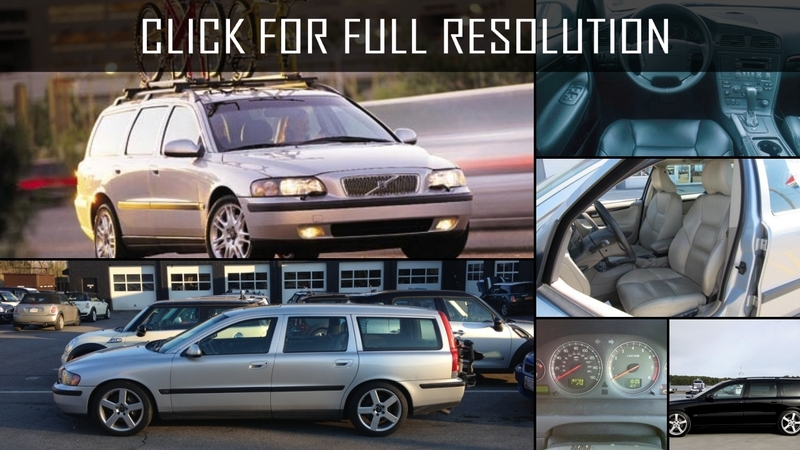 The body and interior are designed so that Volvo V70 protects passengers as much as possible: powerful safety cage, windshield with PUR-edging, crumpled body parts, double-threshold airbag, seat belts with inertia reels, SIPS systems, IC inflatable curtain, side airbags, WHIPS systems, and ISOFIX attachment system for installing safety equipment of children. 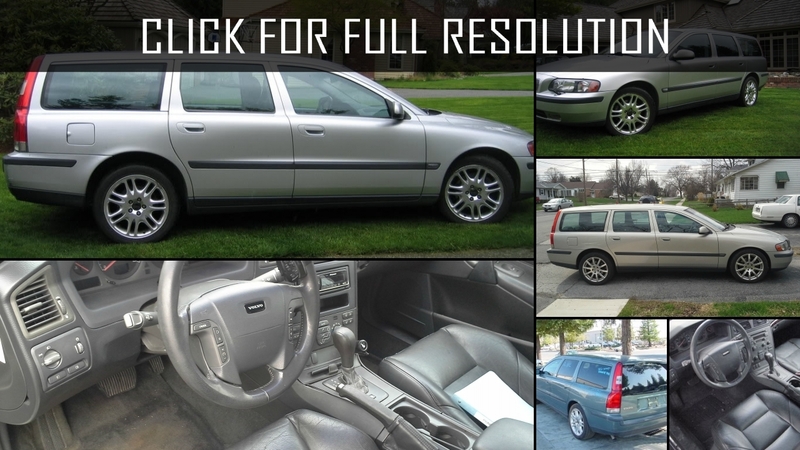 Volvo V70 is equipped with a new generation of gasoline engines - five-cylinder engine volume of 2.4 rated at 170, 200, and 250 hp. 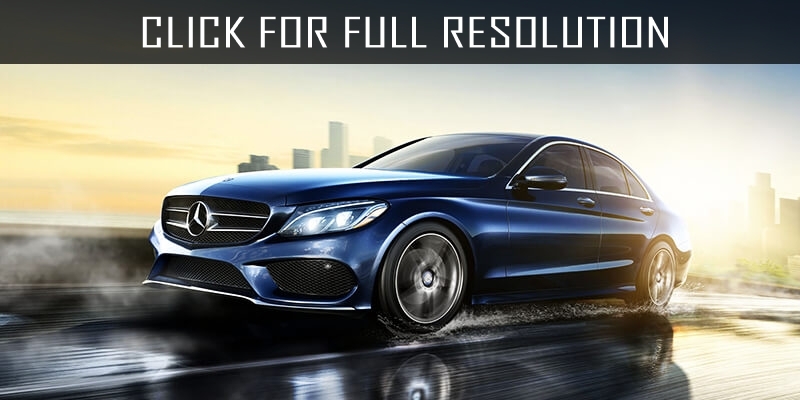 There are modern chassis with a rear suspension like Multi-link, system preventing STC wheel slip, anti-skidding system - DSTC, and ABS. 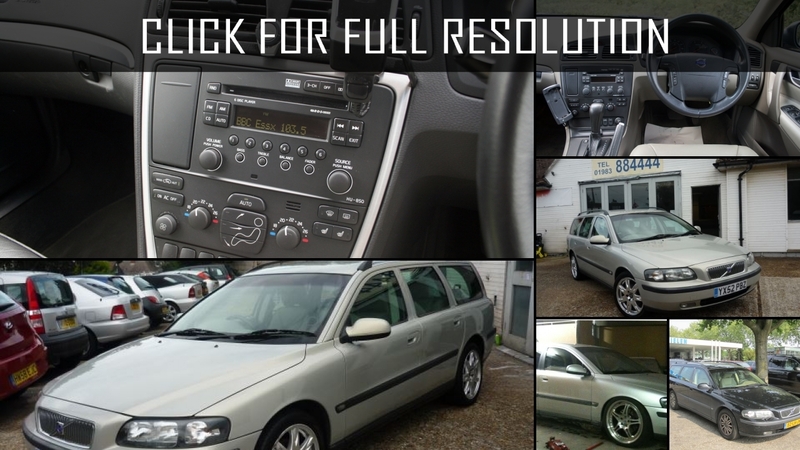 The best thing is to get behind the wheel and see for yourself how beautiful Volvo V70 is! 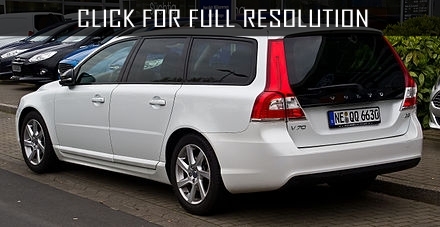 Volvo V70 XC Cross Country belongs to station wagons with increased capacity. 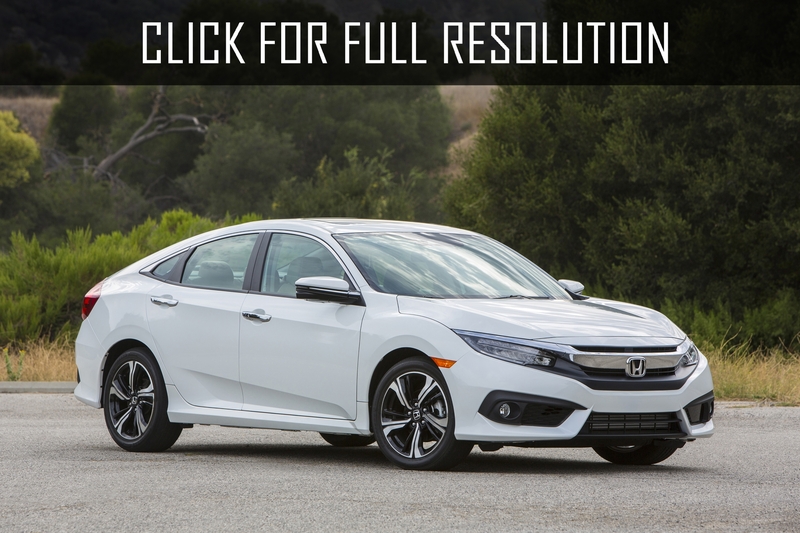 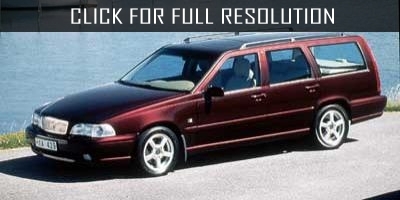 In fact, it is an ordinary car with a body type of wagon. 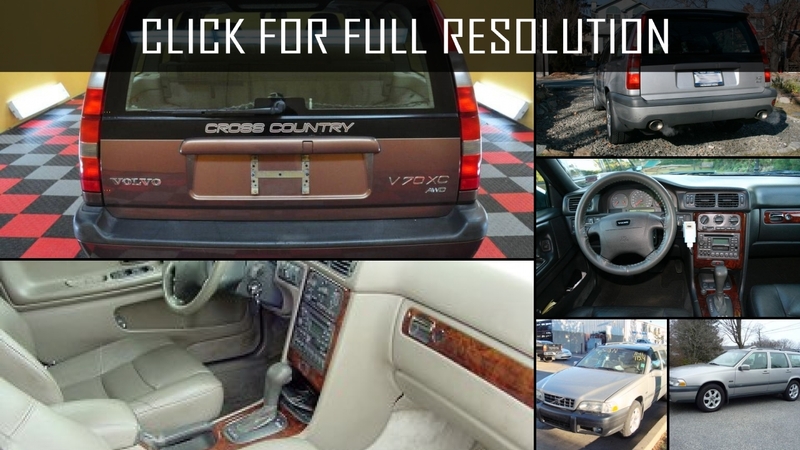 Cross Country is created on the basis of a usual all-wheel drive station wagon of Volvo V70 and inherited all units and knots. 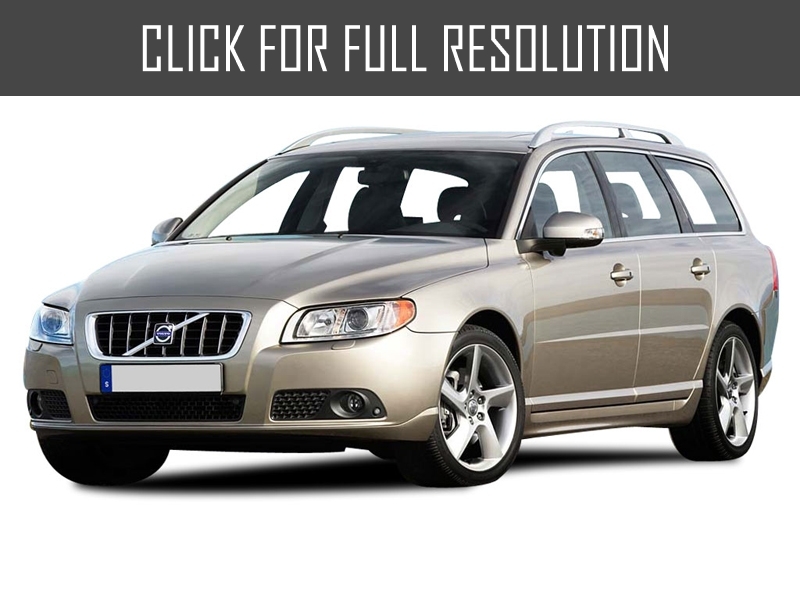 It means that the most part of the life of Cross Country is an ordinary front-wheel model and in the normal modes, 95% of torque is transferred to front wheels. 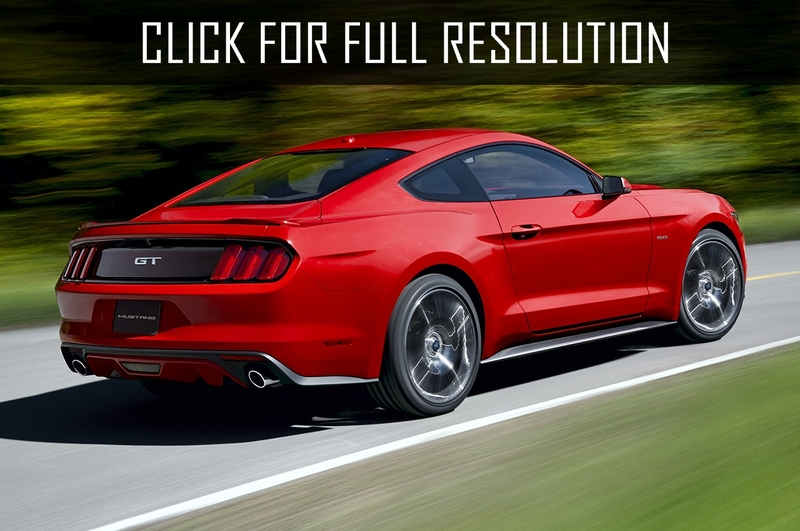 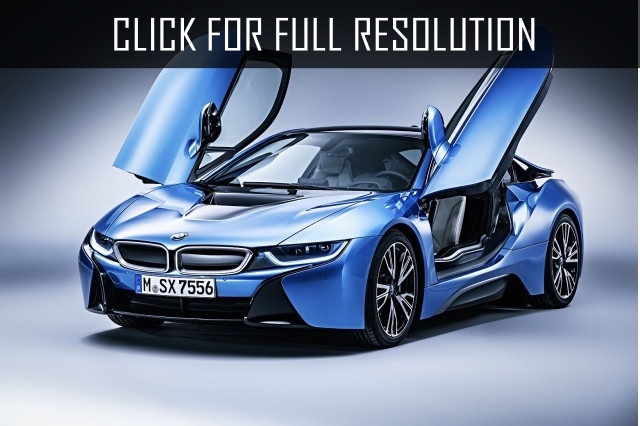 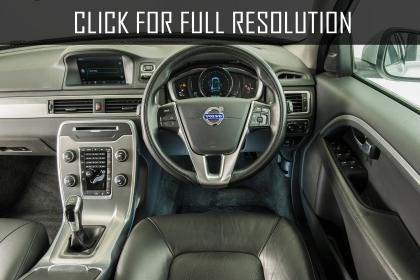 This decision allows to achieve, first, low fuel consumption and secondly, almost front-wheel habits when driving. 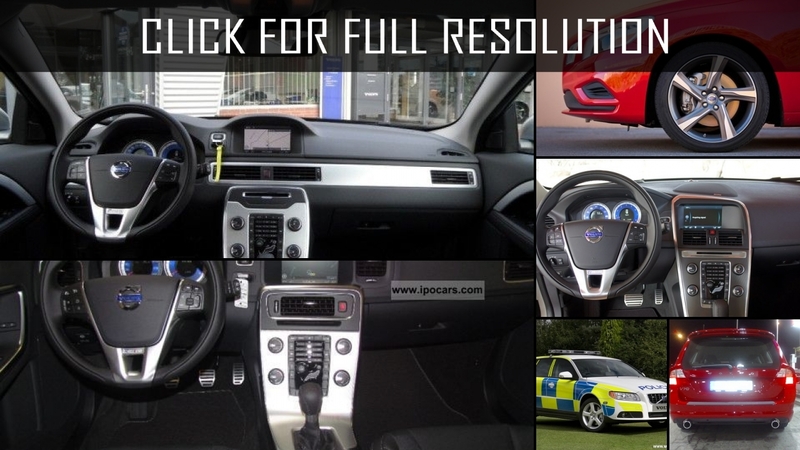 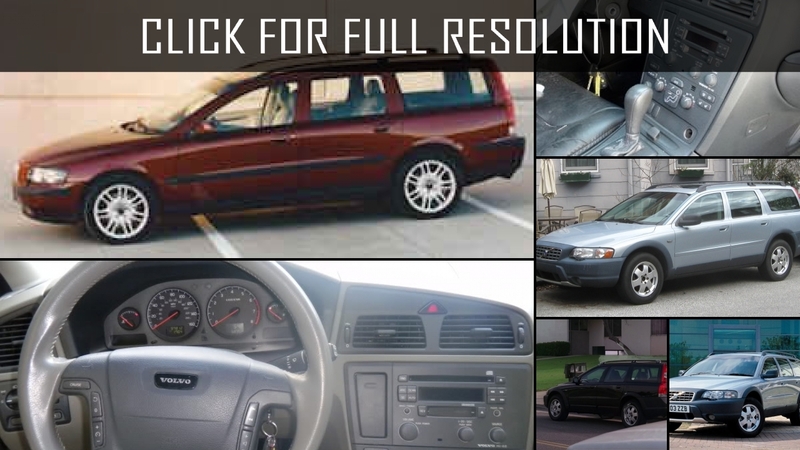 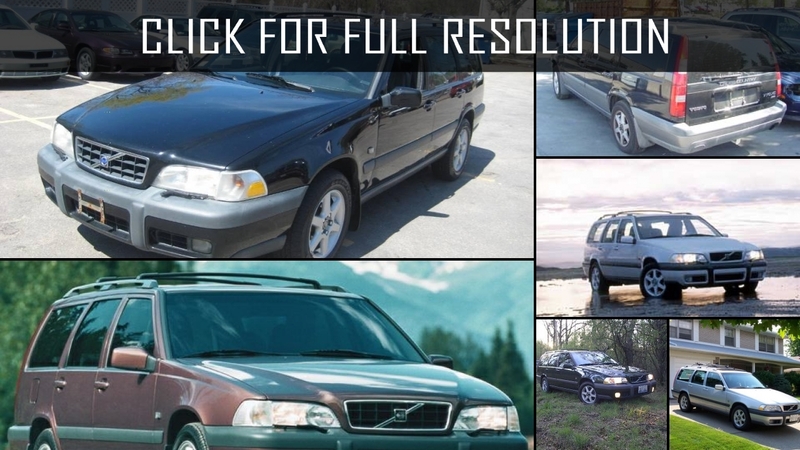 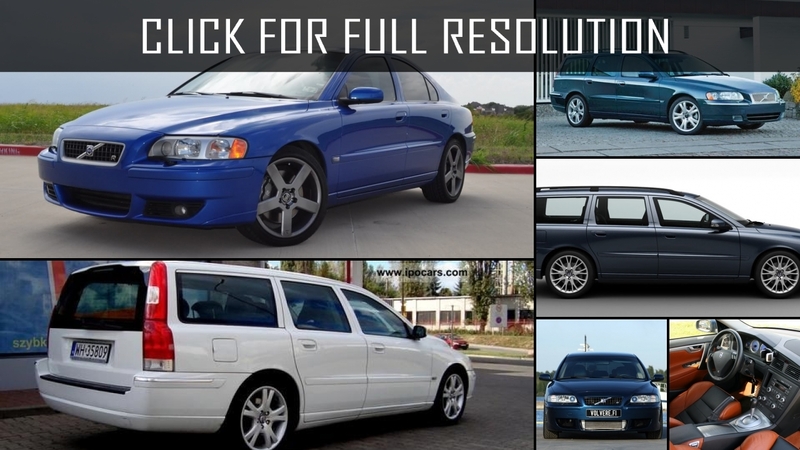 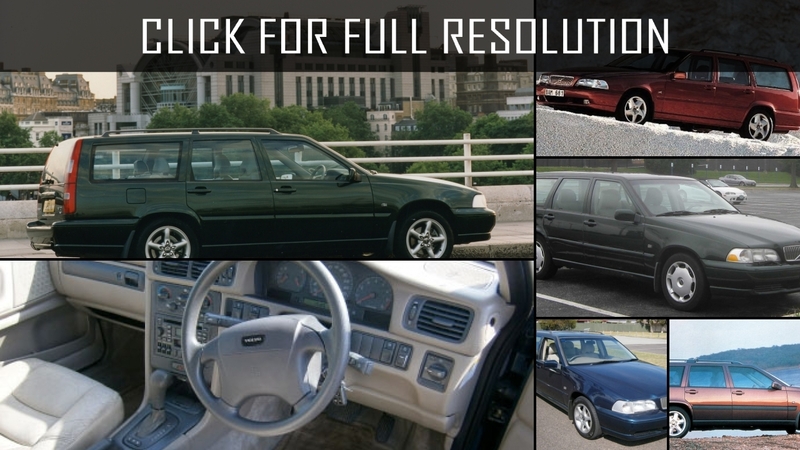 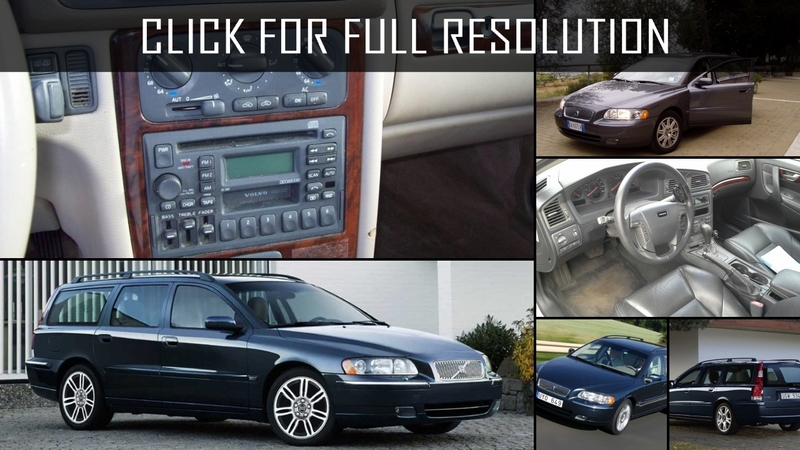 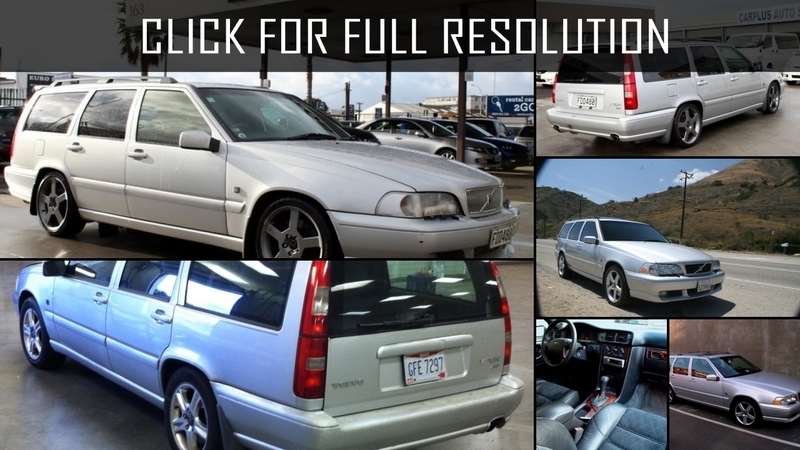 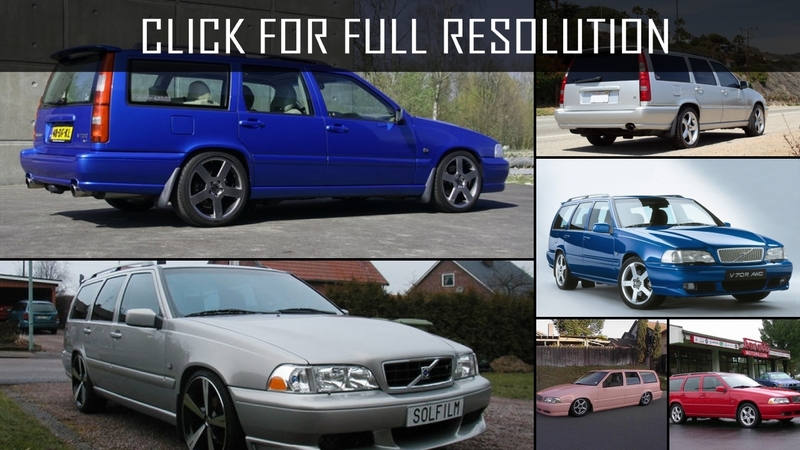 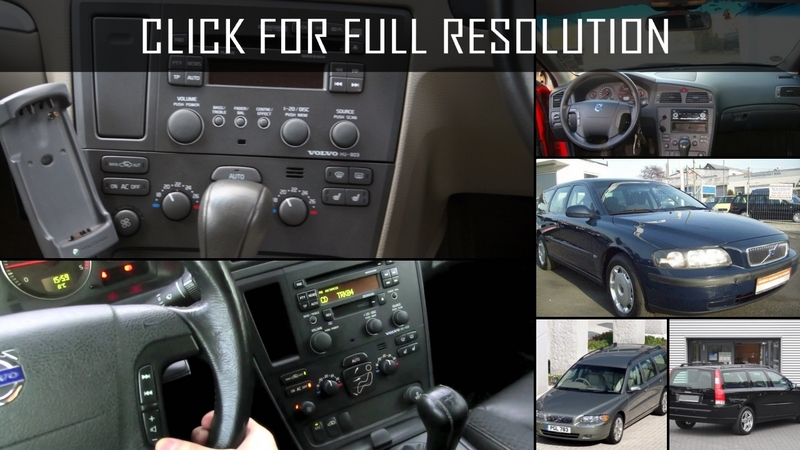 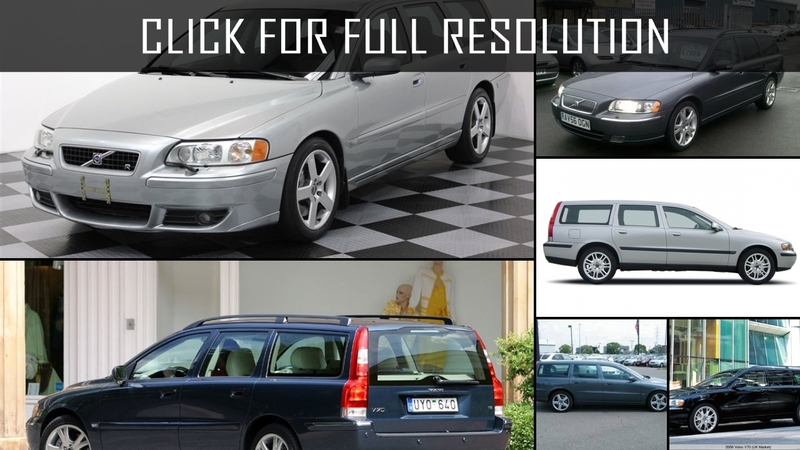 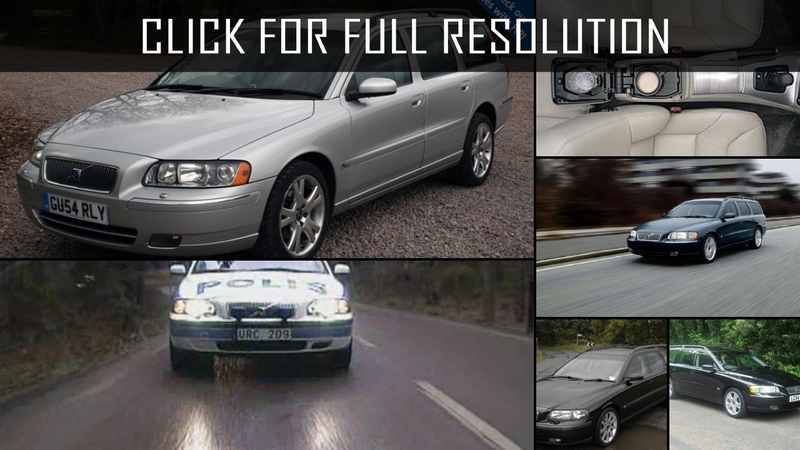 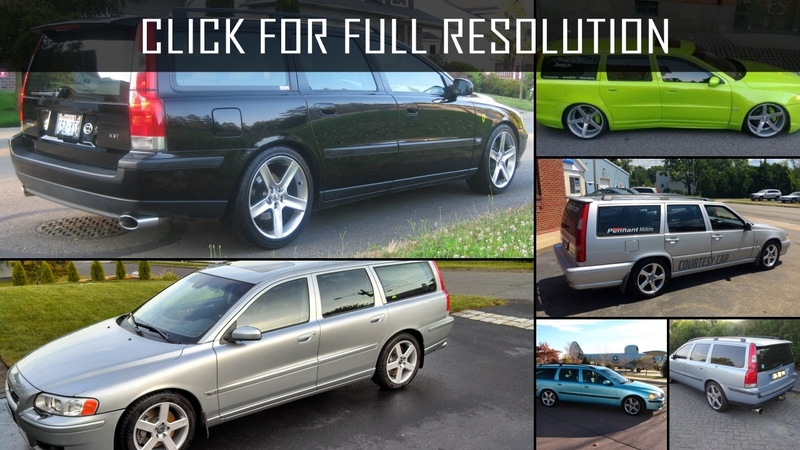 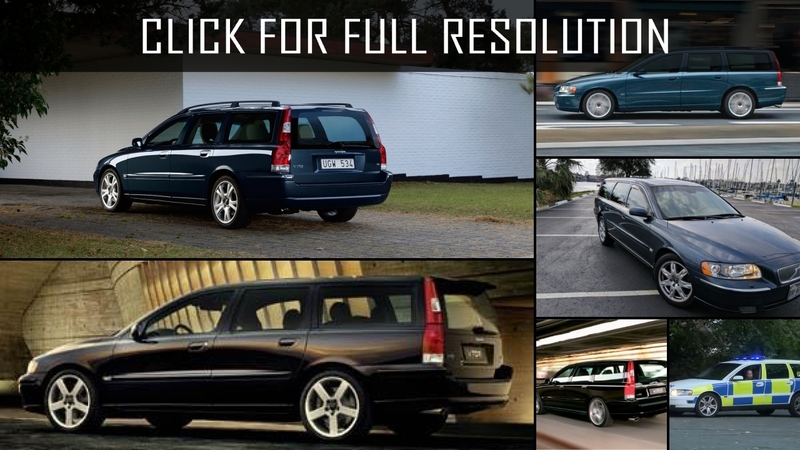 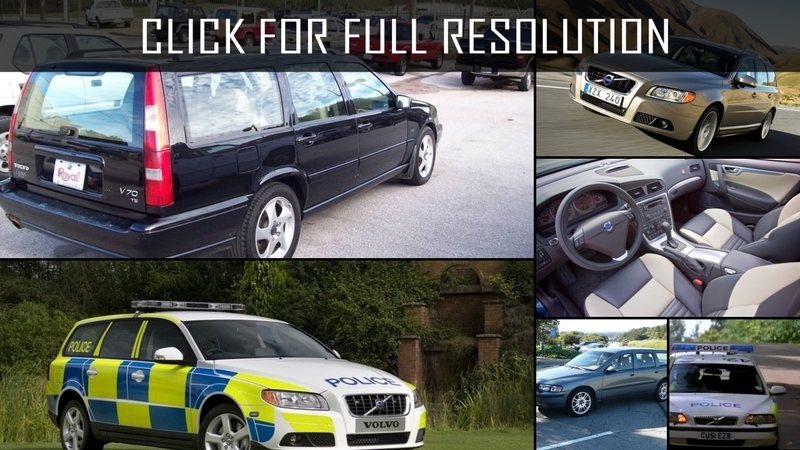 Below the list of all 78 modifications of Volvo V70 and production years from 1996 to 2018. 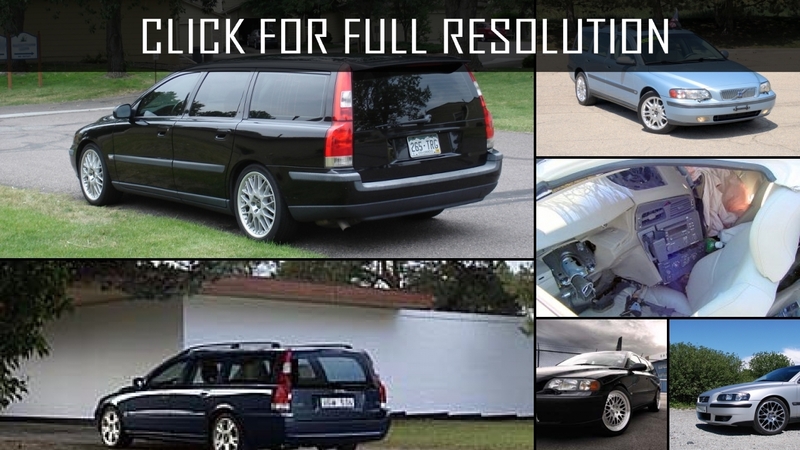 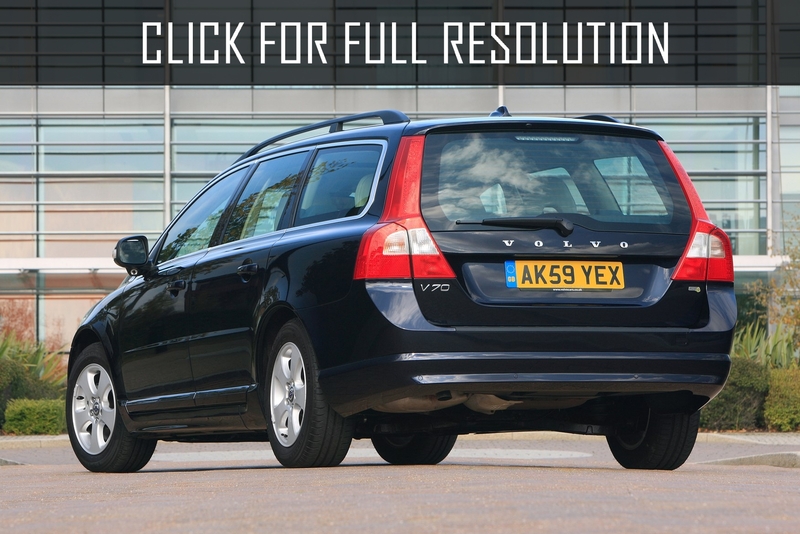 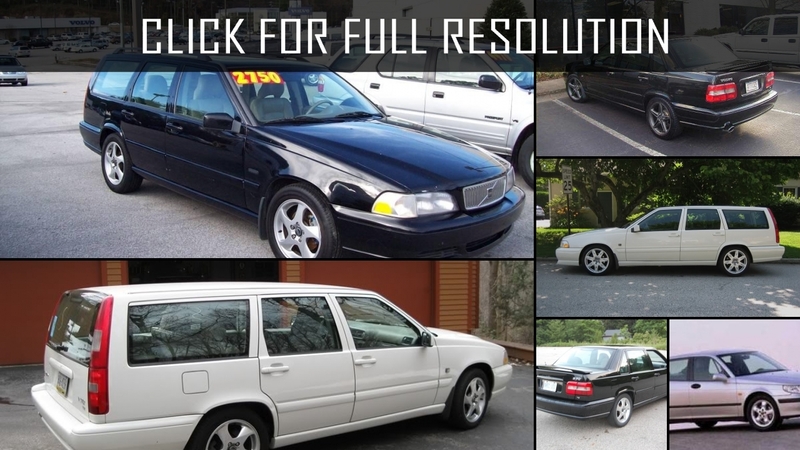 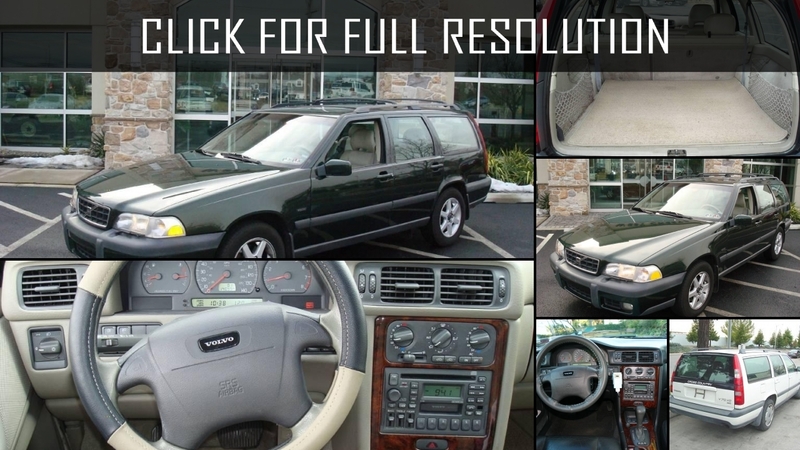 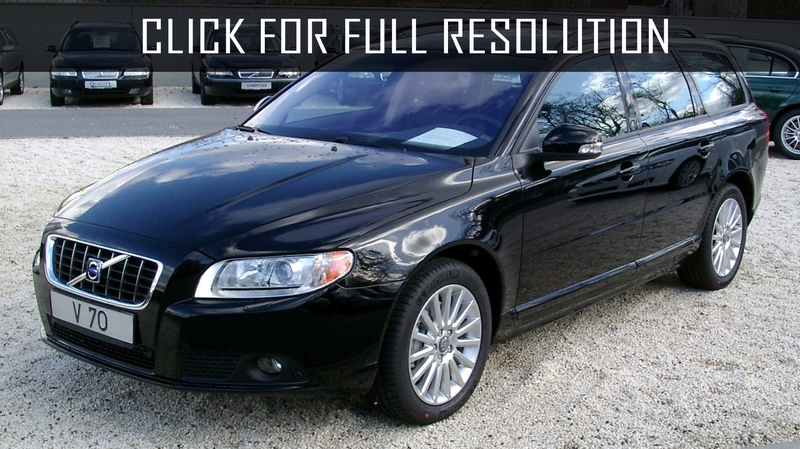 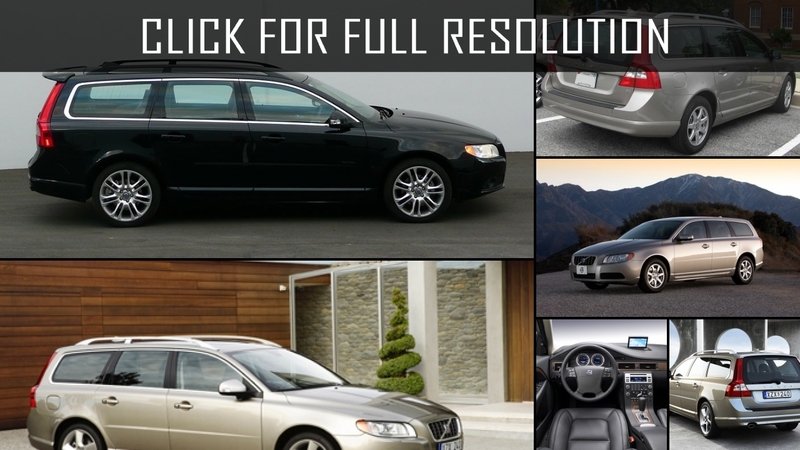 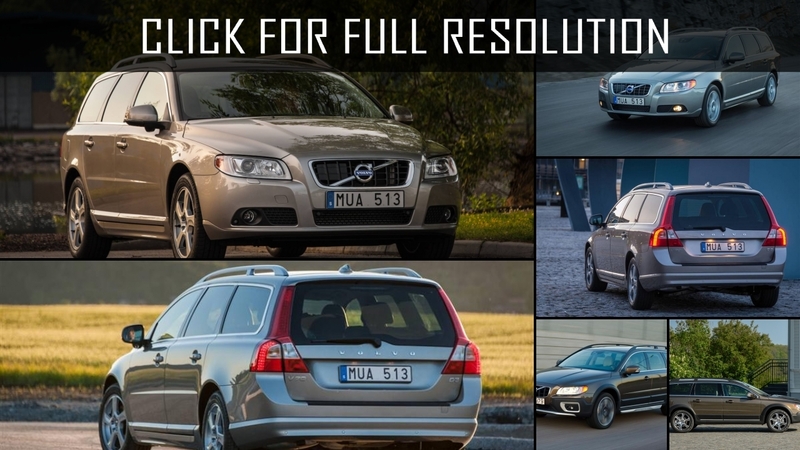 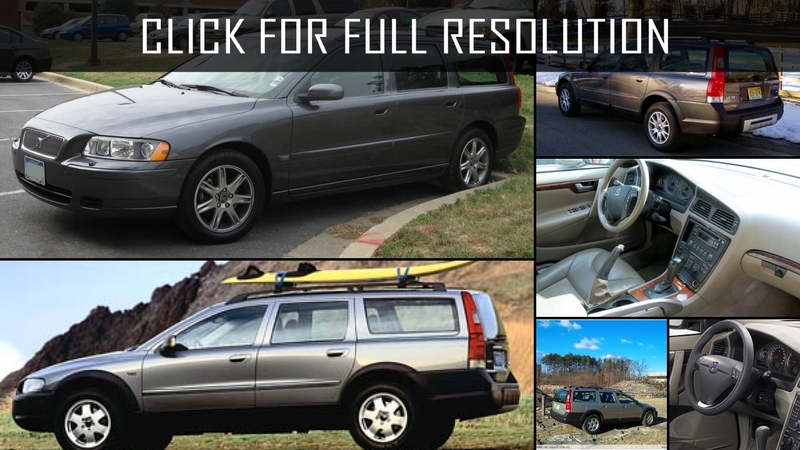 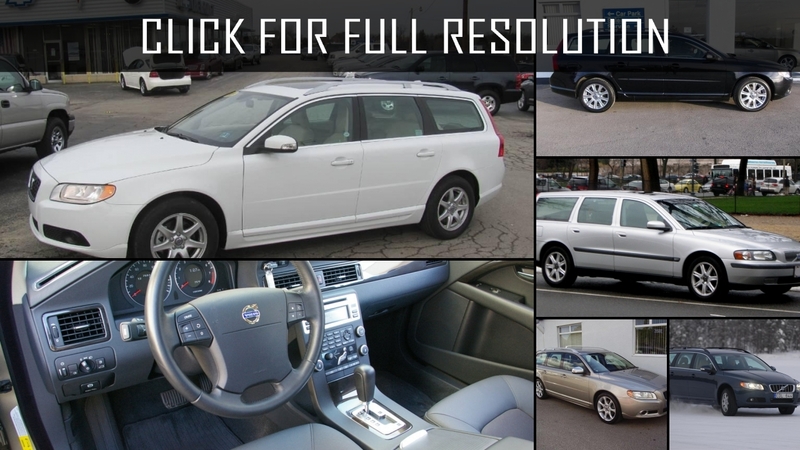 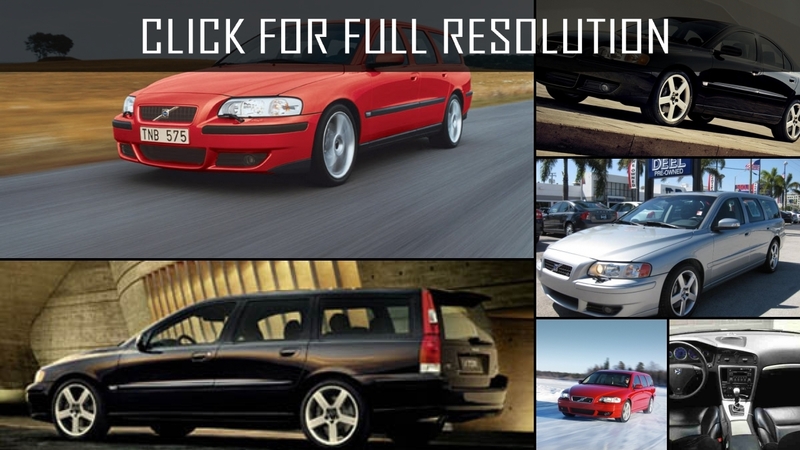 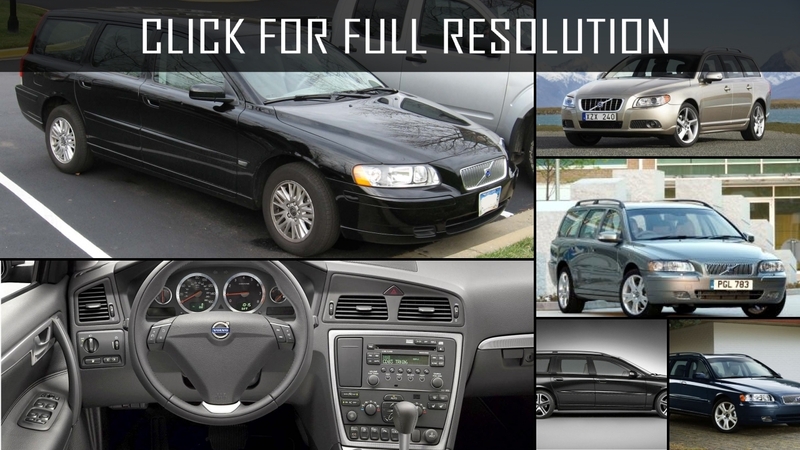 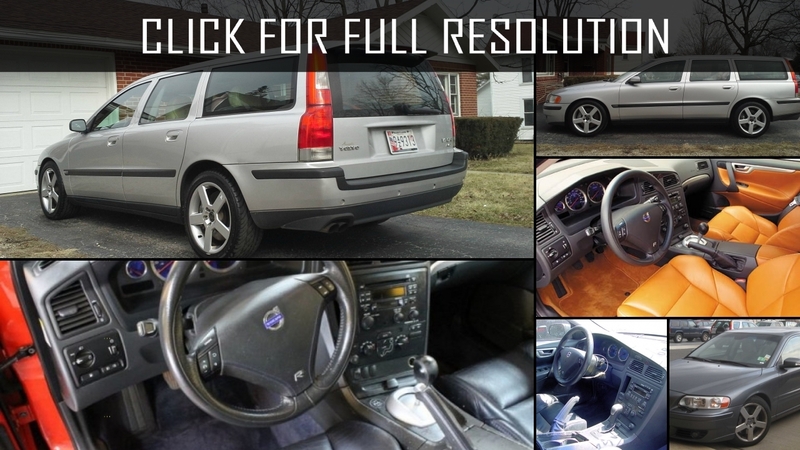 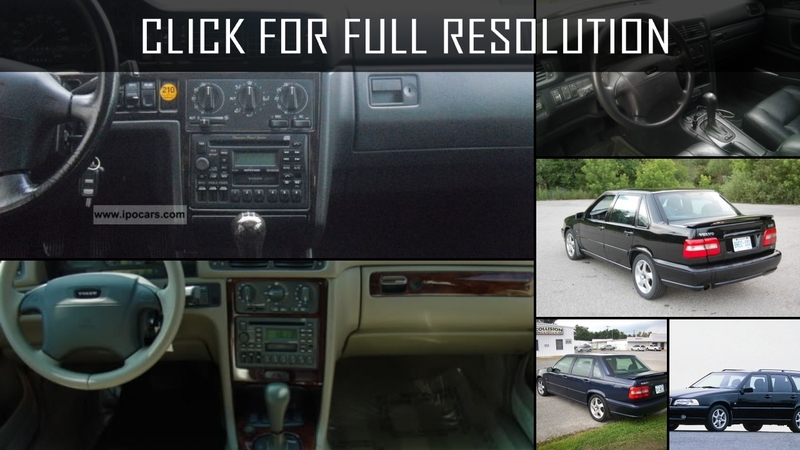 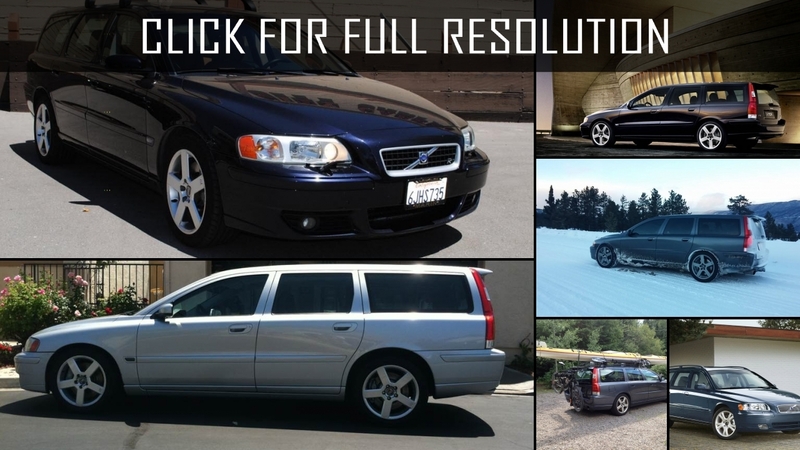 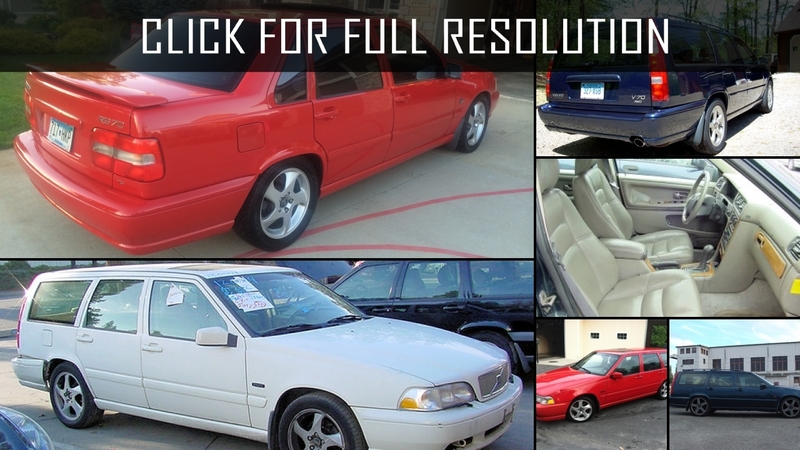 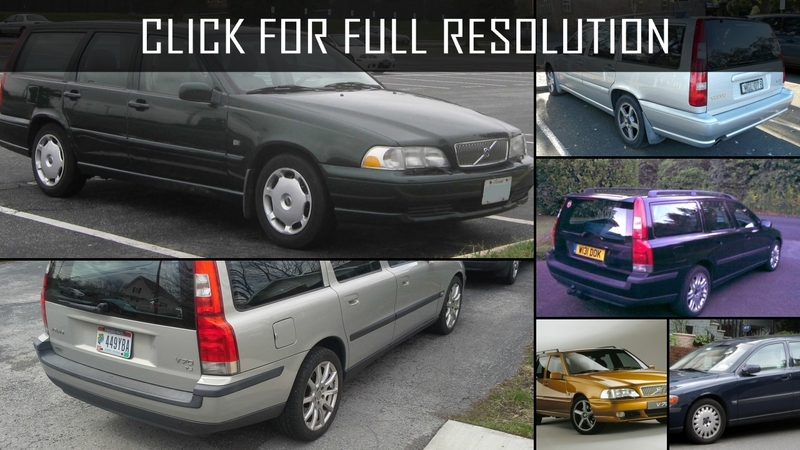 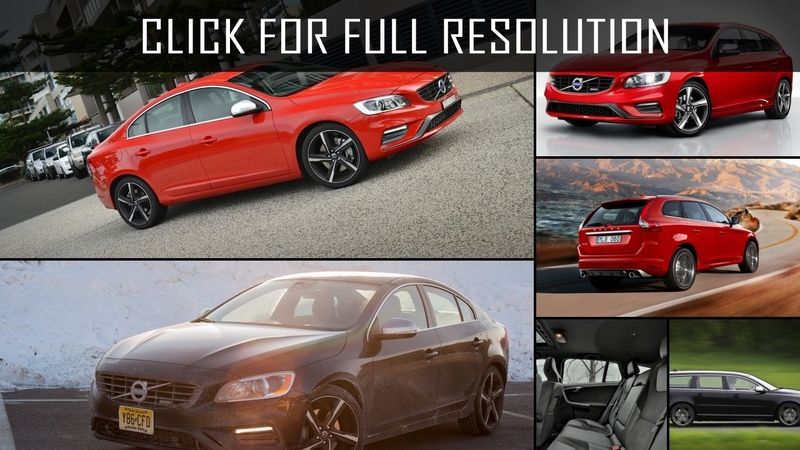 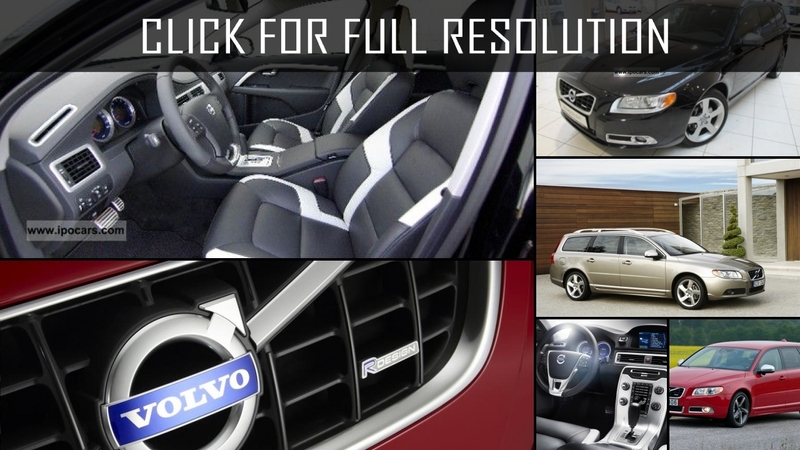 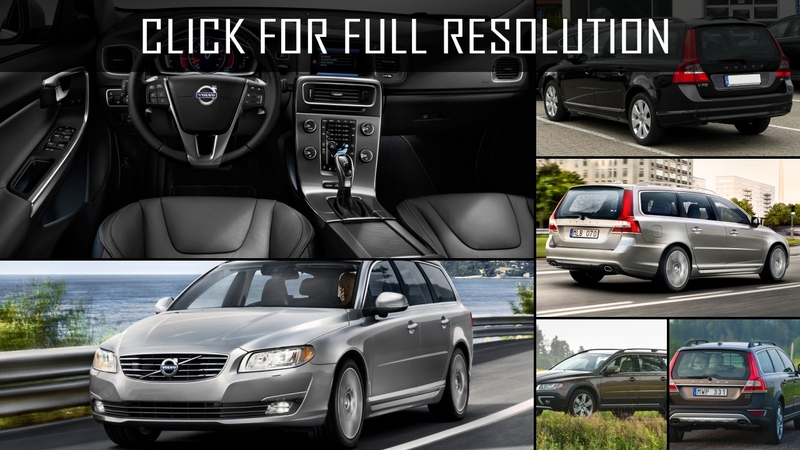 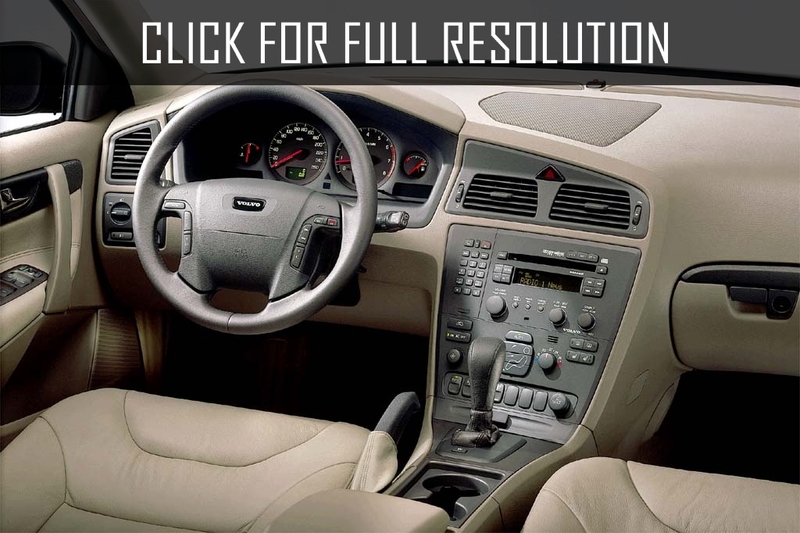 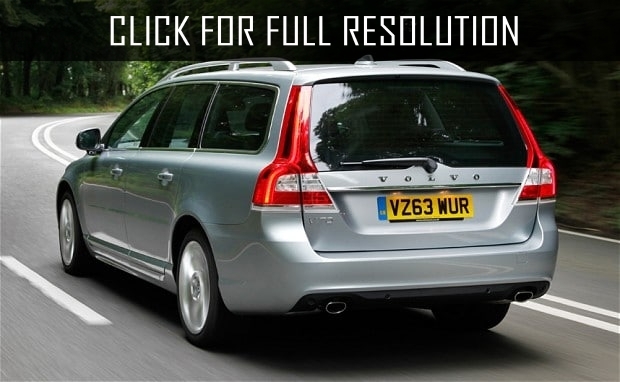 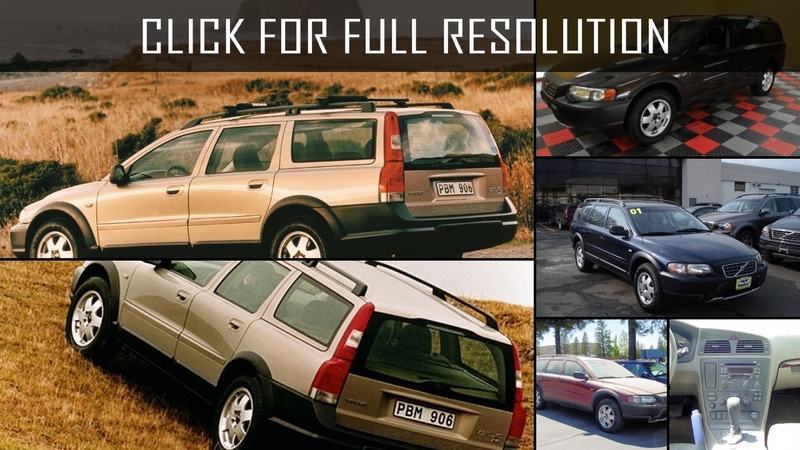 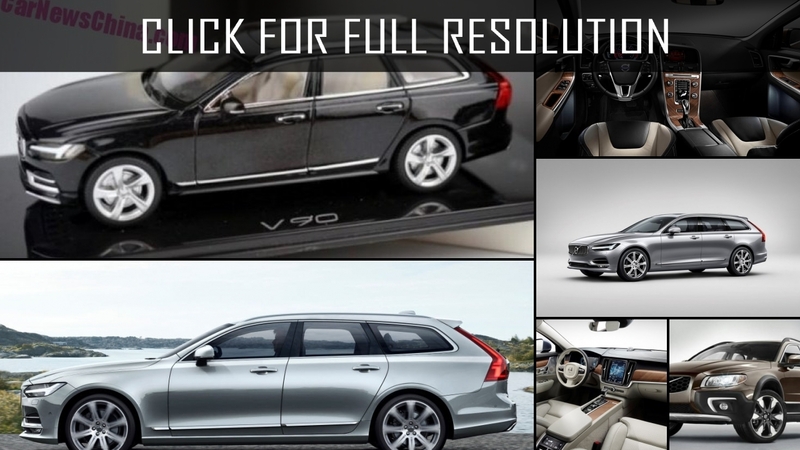 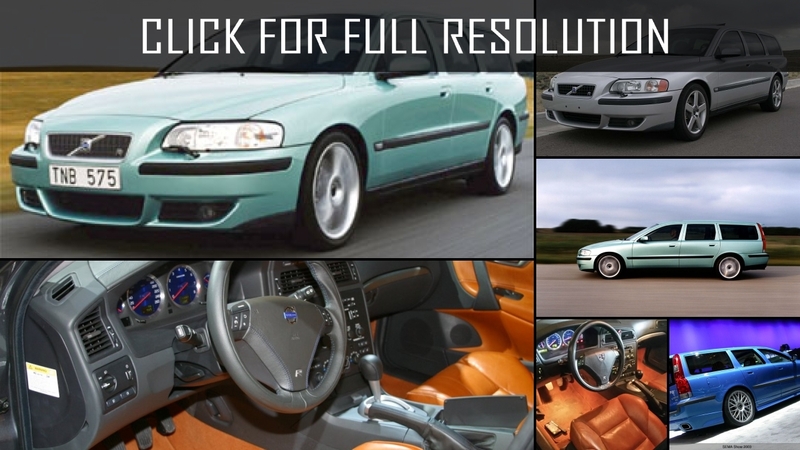 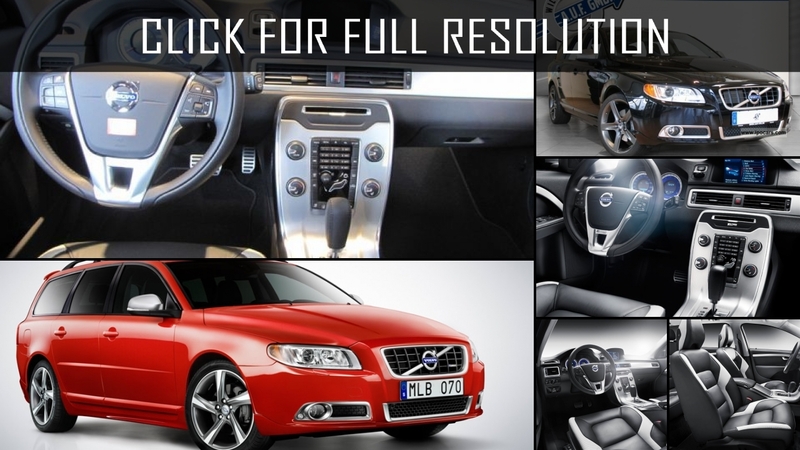 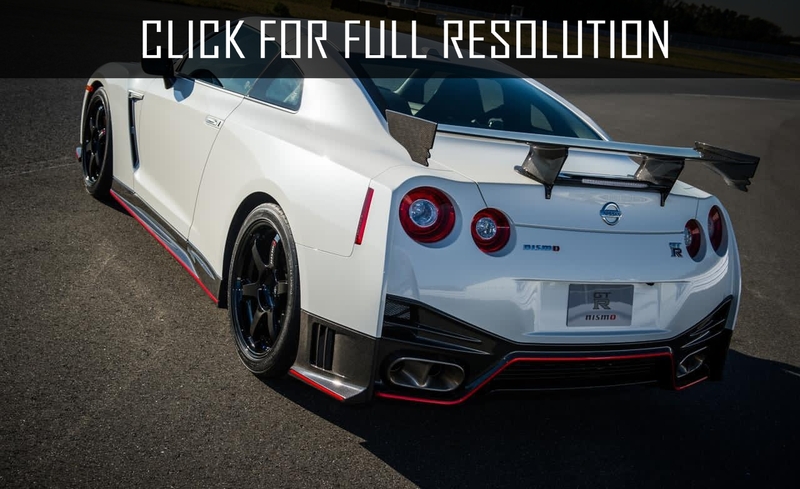 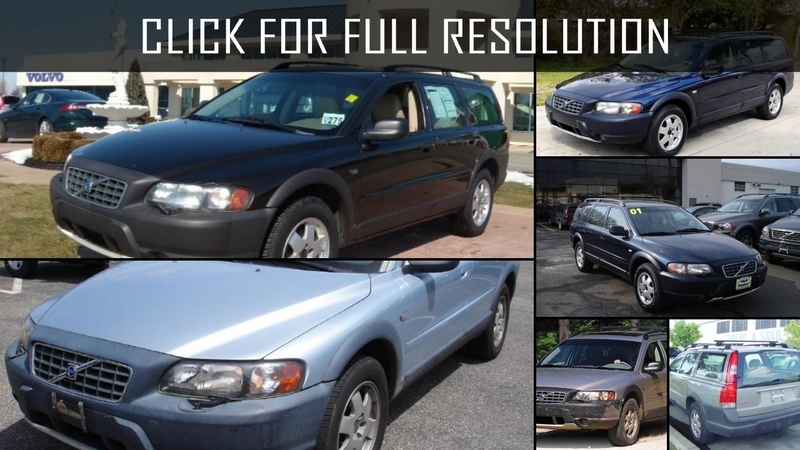 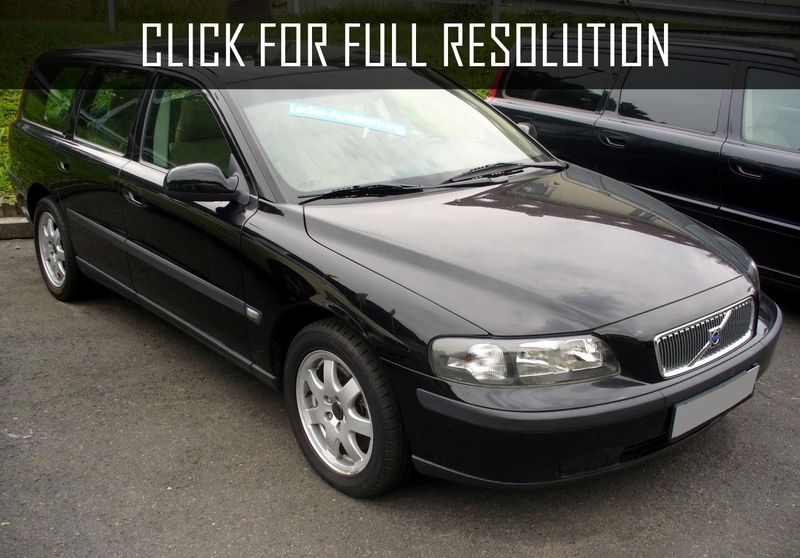 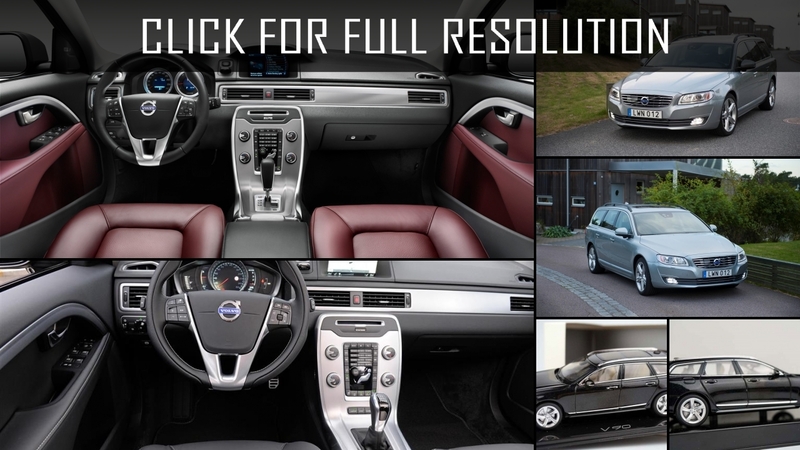 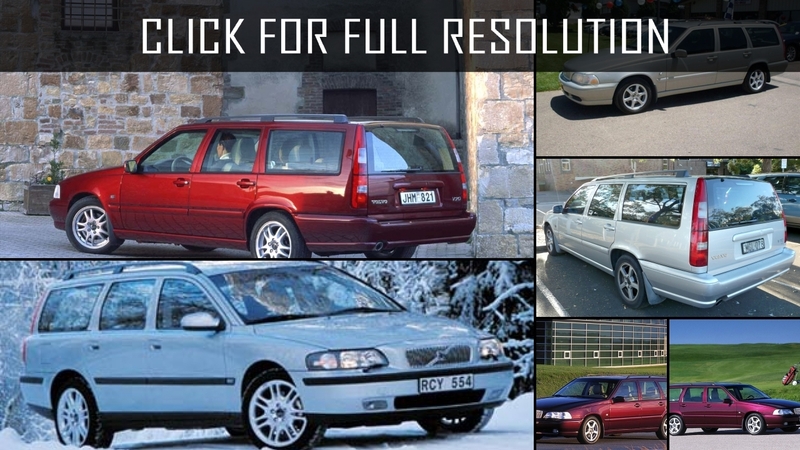 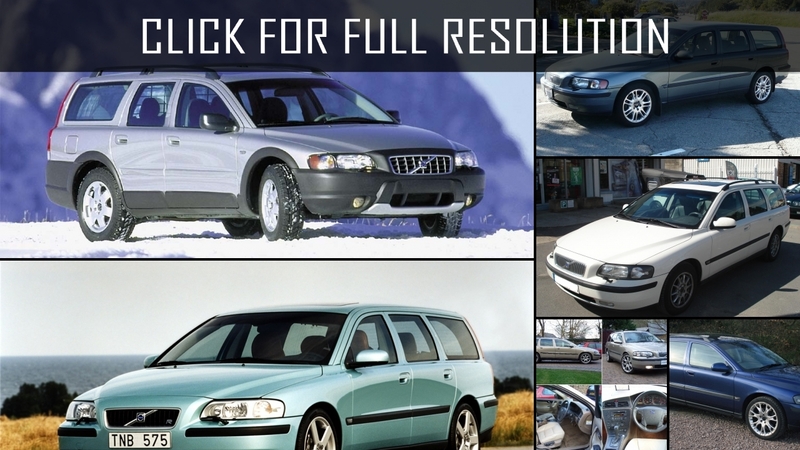 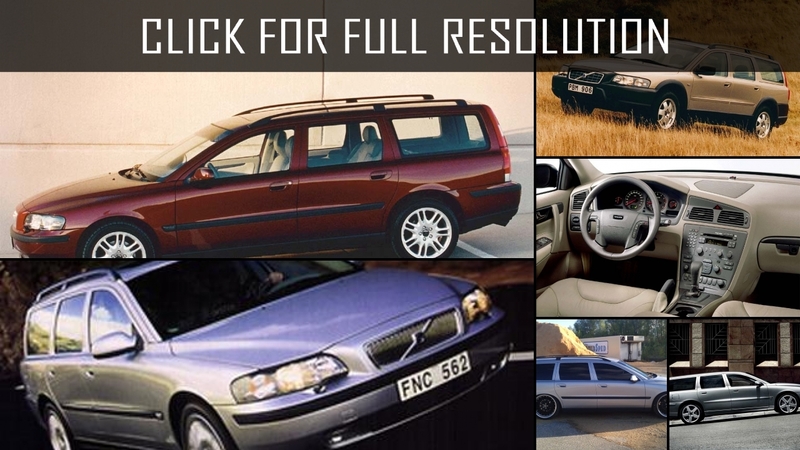 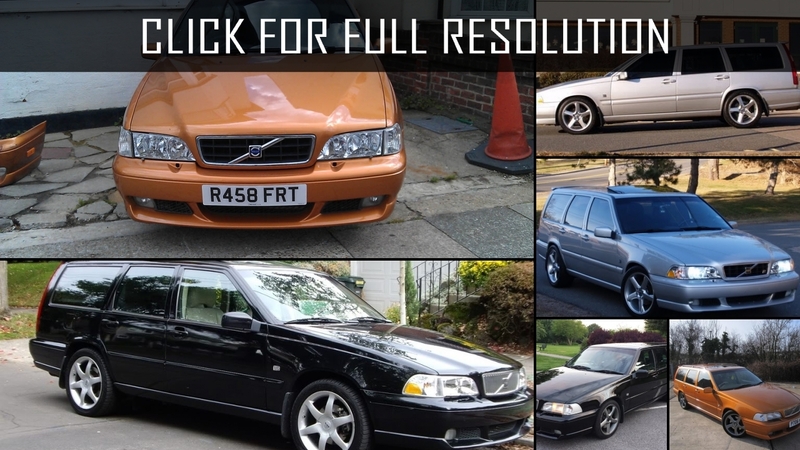 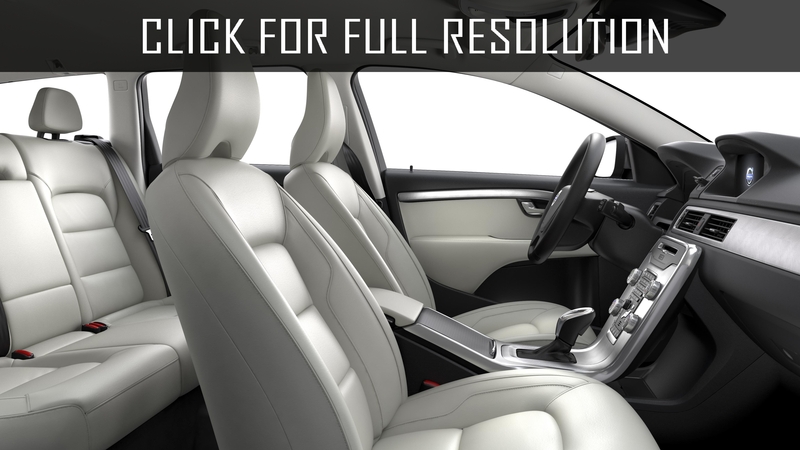 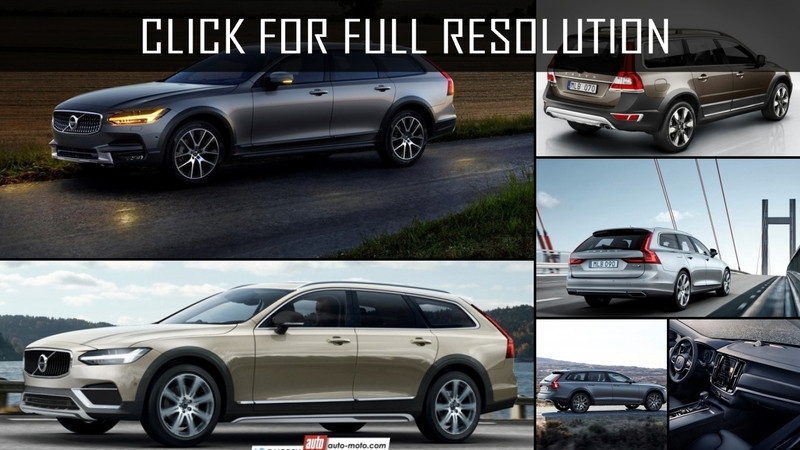 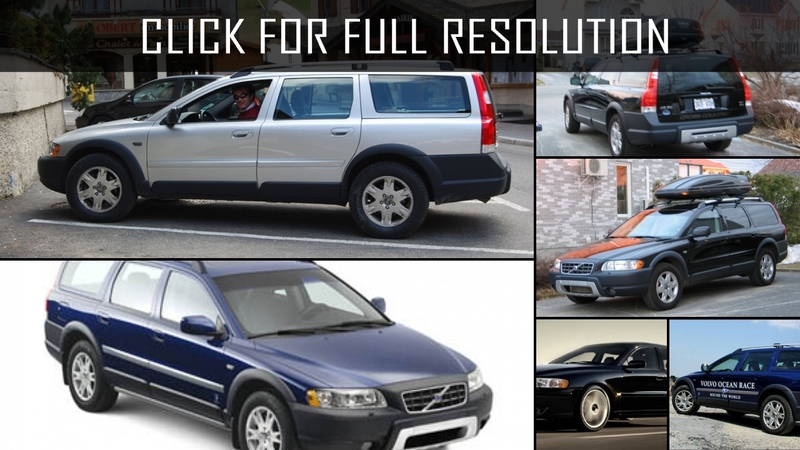 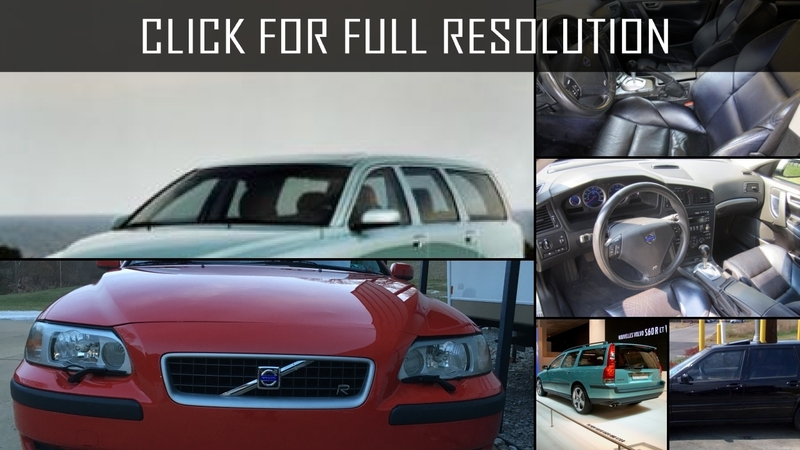 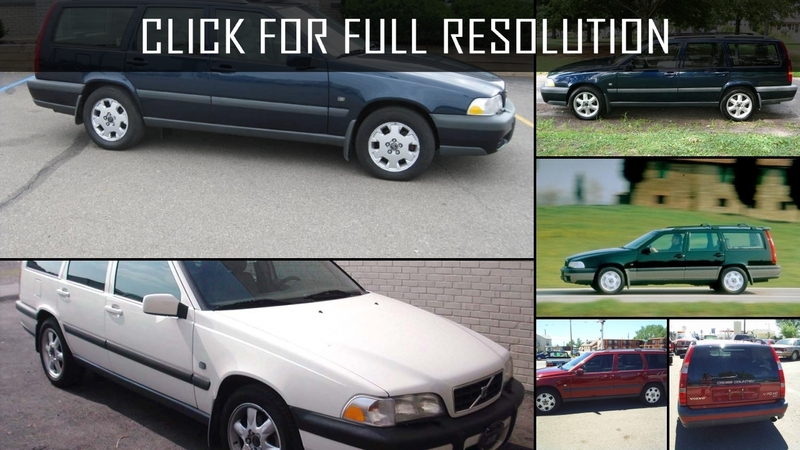 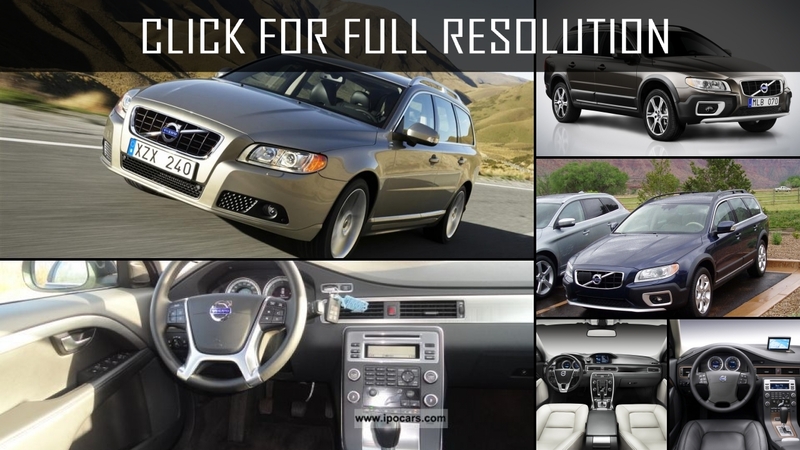 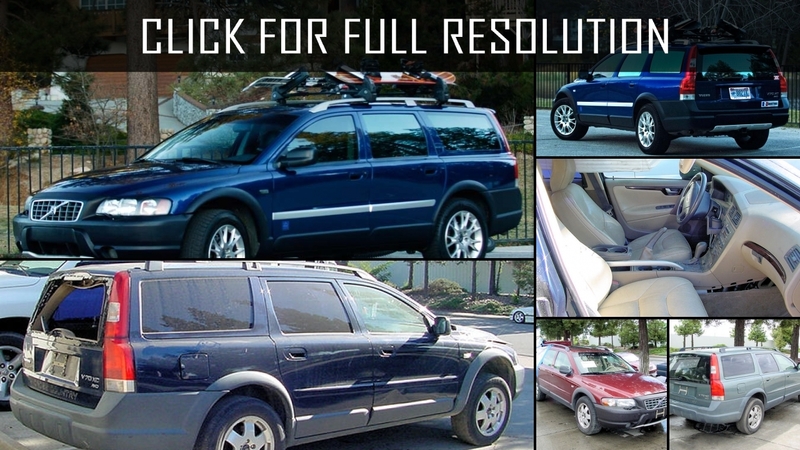 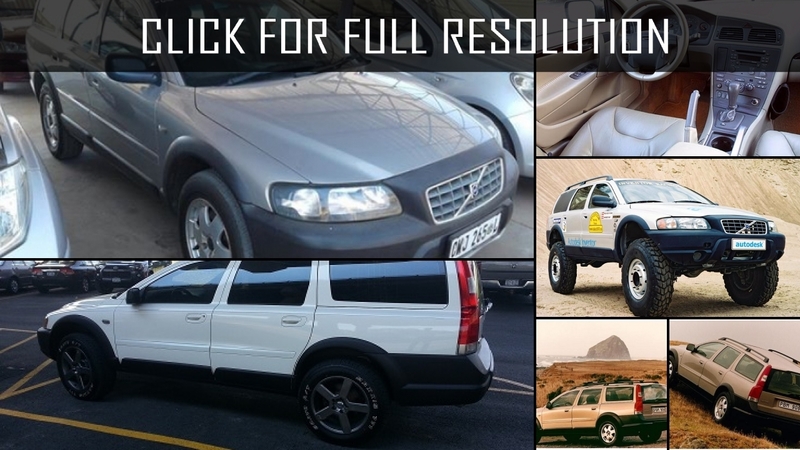 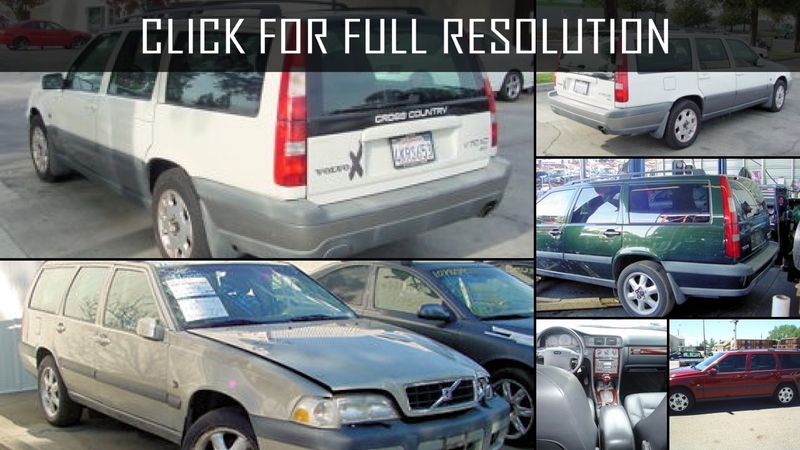 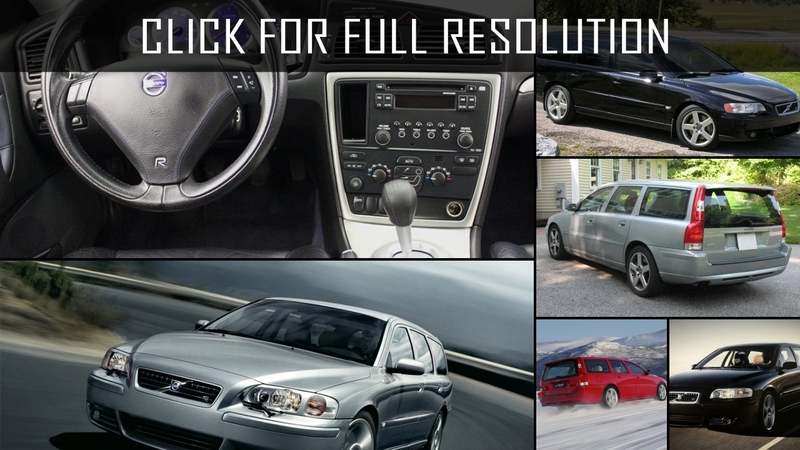 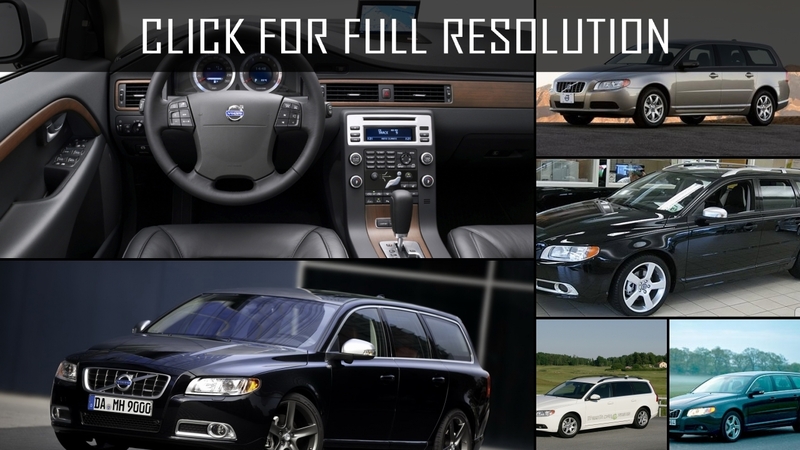 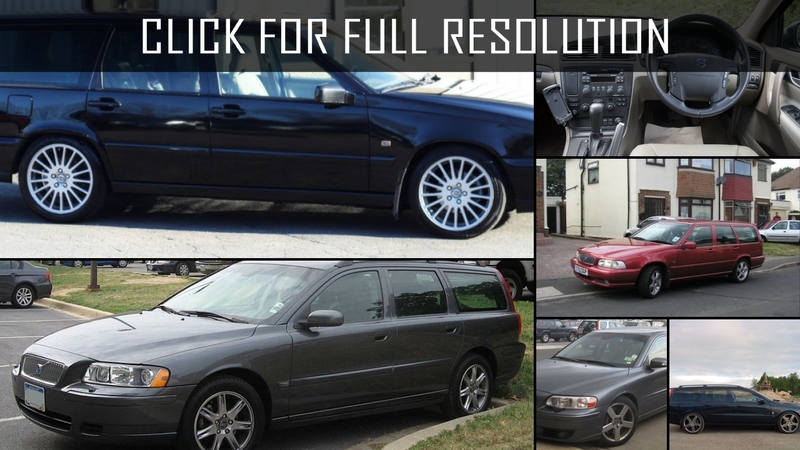 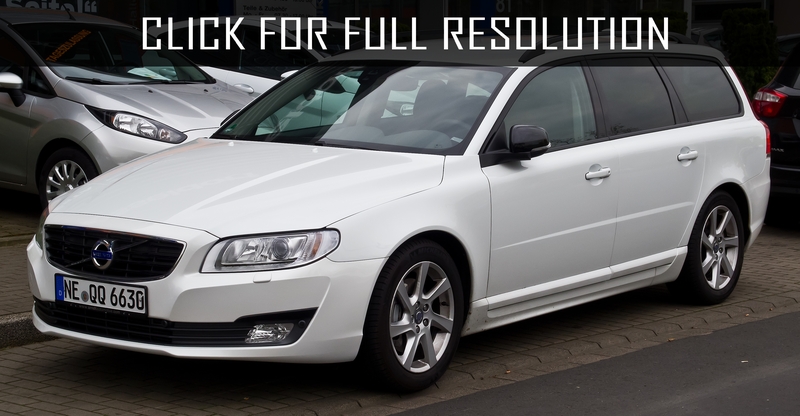 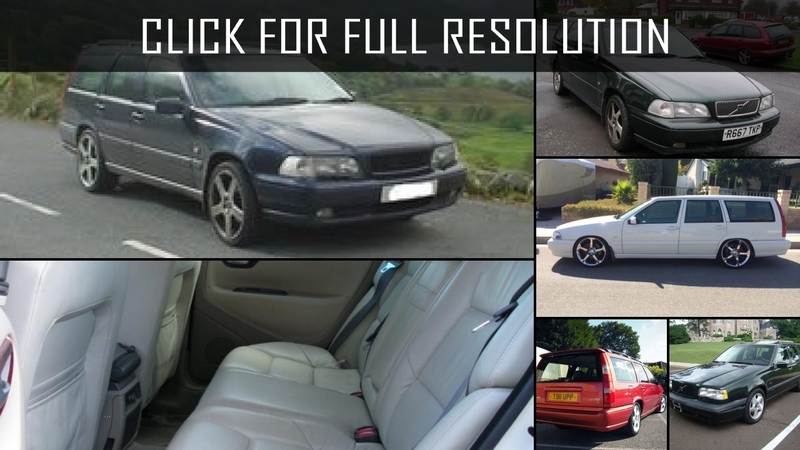 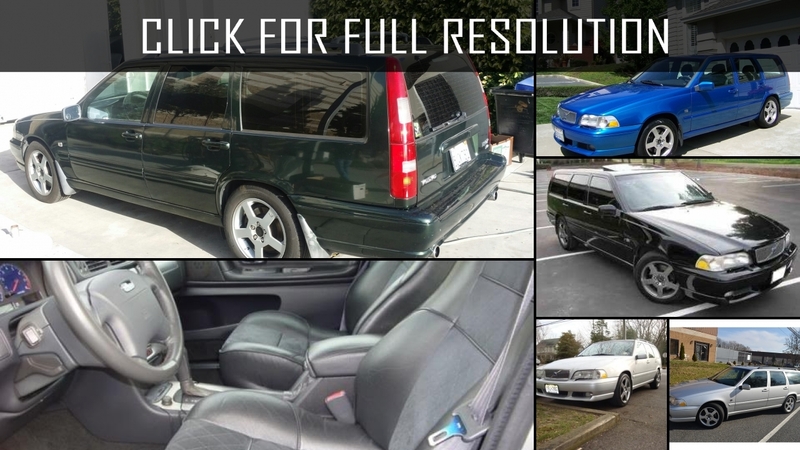 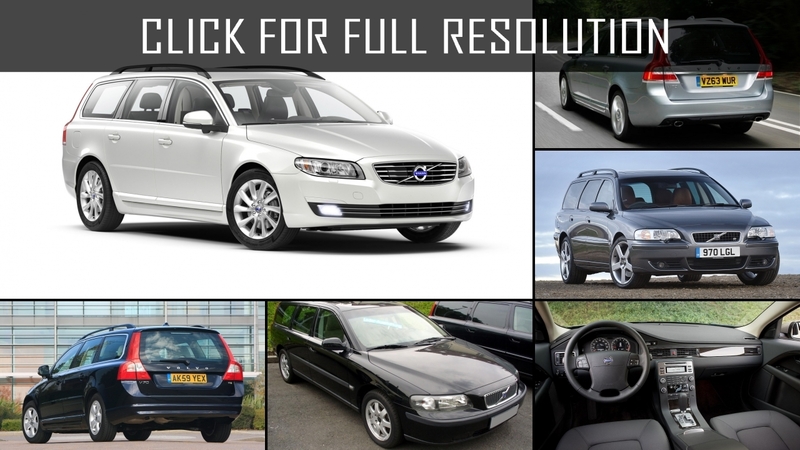 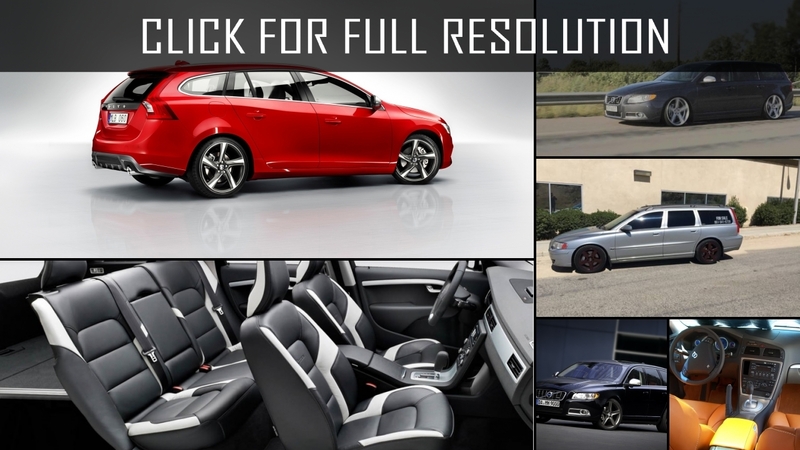 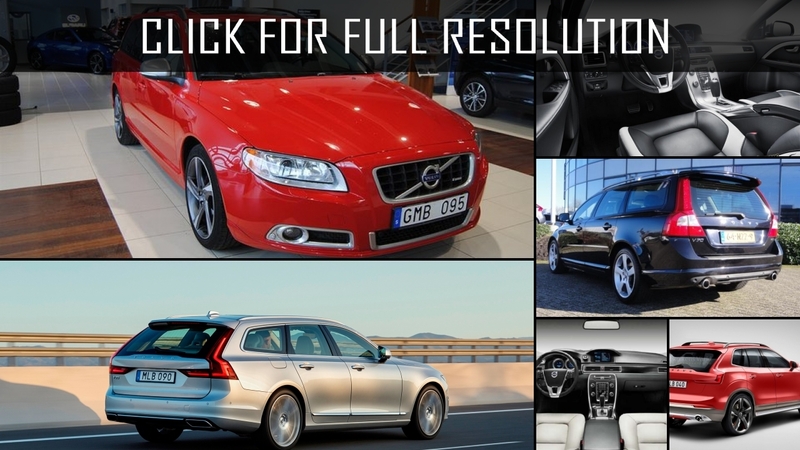 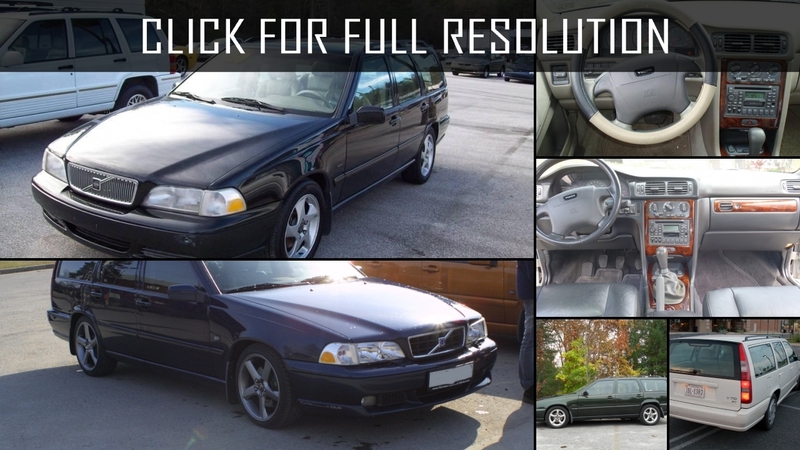 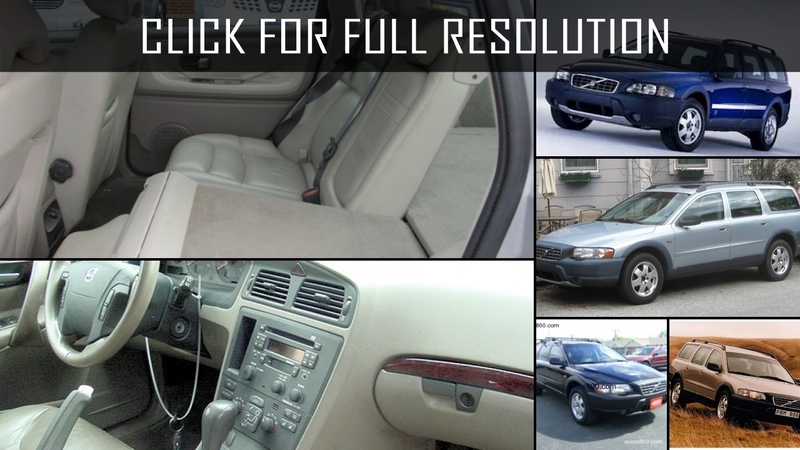 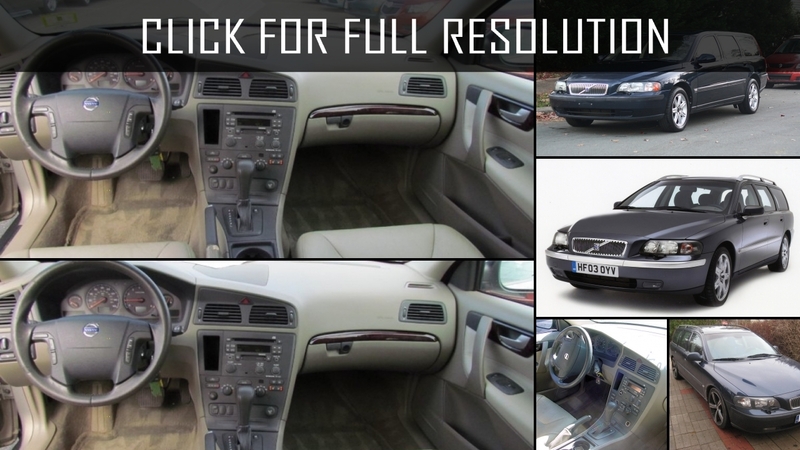 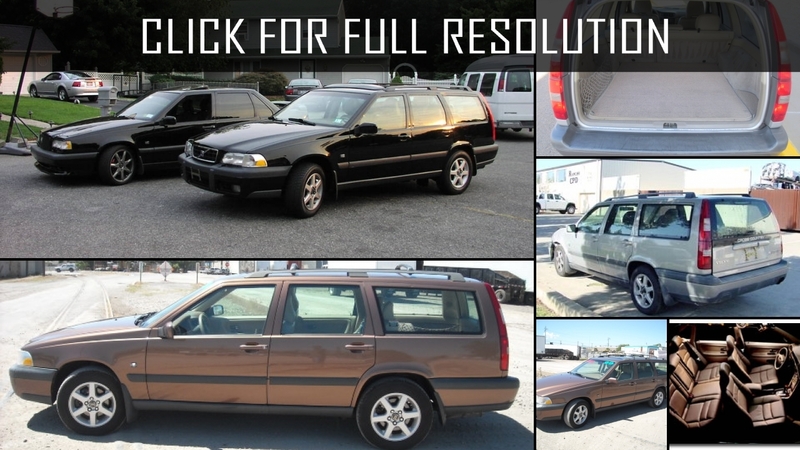 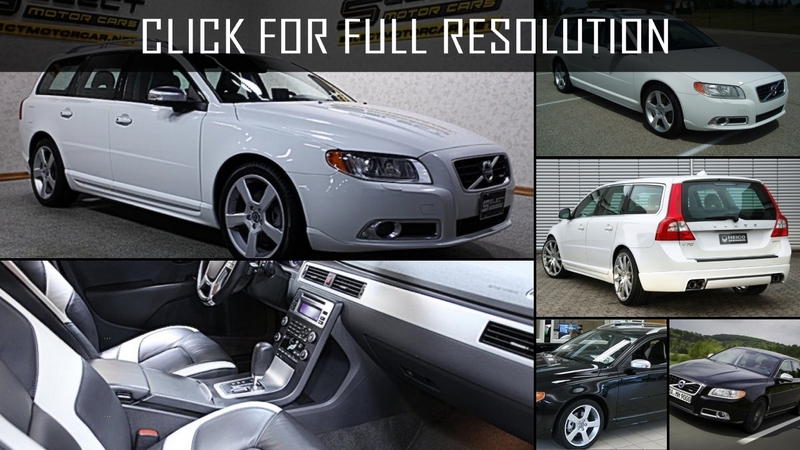 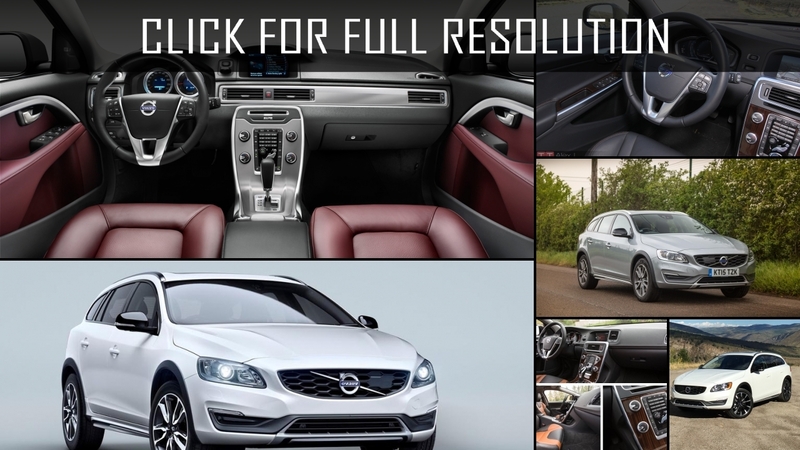 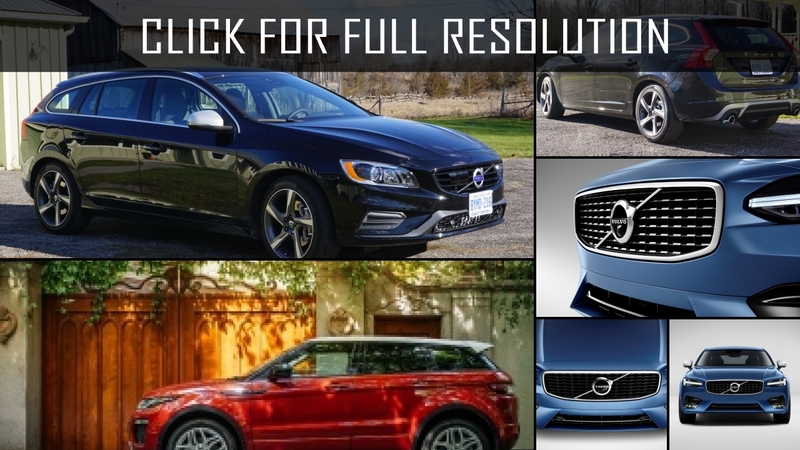 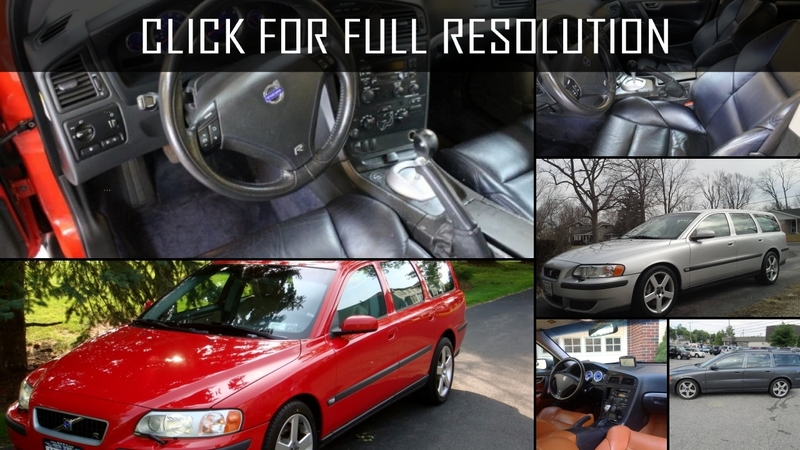 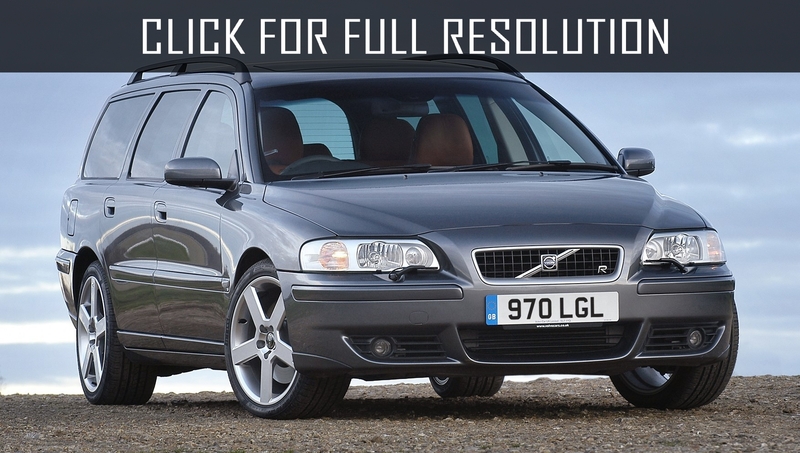 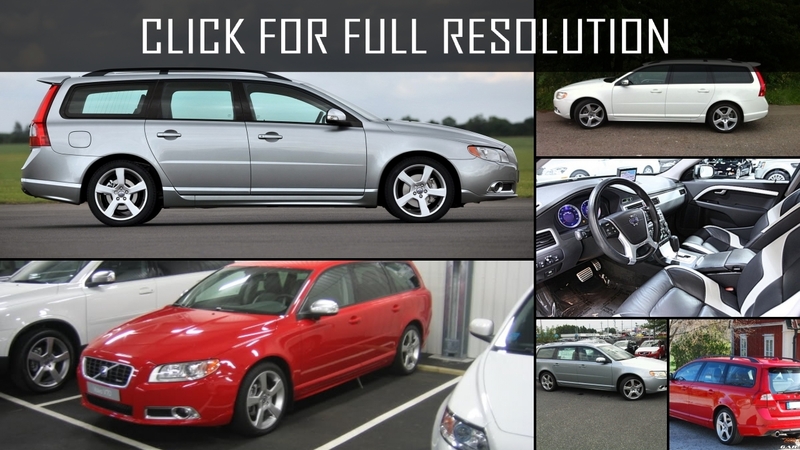 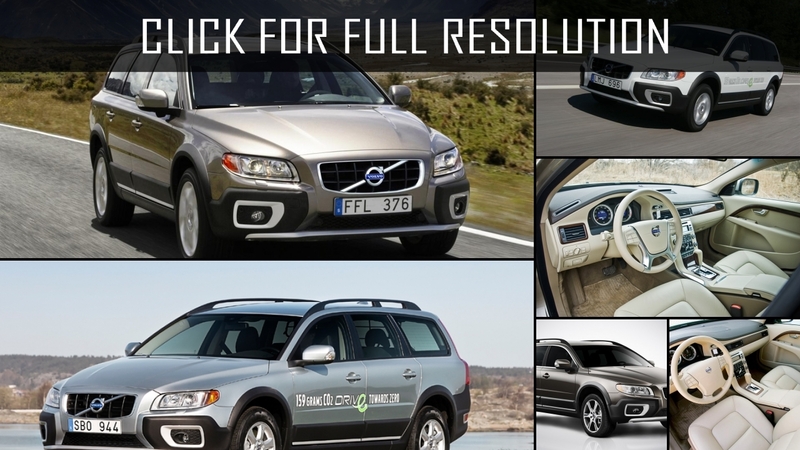 Discover and enjoy Volvo V70 image collections, news, wallpapers, MSRP, ratings on this huge database of cars and bikes - Masbukti. 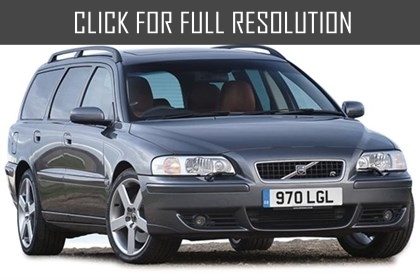 Average rating of all available versions of Volvo V70 is 3.9 out of 5.0.